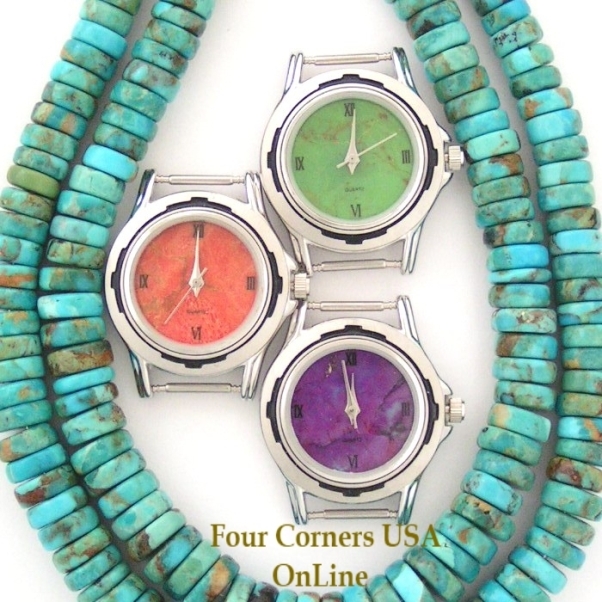 Unique and varied Collection of Women's fashion Watch Faces and Dials for Native American Southwestern Sterling Watches. Choose from Mohave Purple Turquoise Stone Watch Faces, Mohave Green Turquoise Stone Watch Faces, Apple Coral Watch Faces, Bear Motif, American Indian Chief and many other designs. Need Assistance determining the correct Pin Size for your replacement Watch Face? Visit our Measurement Guide for helpful information.